I absolutely adore my horses and have ridden since I was very small. In high school I actually competed a lot in horse shows and enjoyed it so much. I love any type of jewelry that is related to horses or has an equestrian style. Massi creates a gorgeous versatile and adjustable equestrian bracelet that I absolutely love, the Cavallo Grey & Rhodium bracelet. Besides being equestrian inspired, the quality of the Cavallo bracelet is nothing less than perfection. It is nickel and lead free. 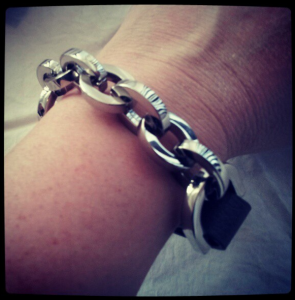 I love the genuine Italian leather band and the rhodium plated chain is very well made and gorgeous. It comes in gold, rhodium and gunmetal with various colors of leather. This is a great piece to wear alone or pair it with some other pieces for a layered look. The bracelet is very easy to put on your wrist and secure. I’m so glad it doesn’t have one of those hard to close clasps. Those can be so frustrating! We definitely love the quality of the Cavallo bracelet. The leather and chain are well made. I would love to try some of their home and handbag products. They also have gorgeous pendant necklaces and earrings. The packaging of the bracelet was also great. It arrived in a box with padding and was wrapped in smaller packaging. 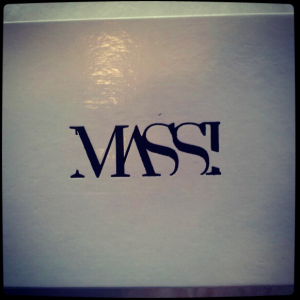 We give MASSI an A+ for packaging, quality, and service. MASSI is a lifestyle brand offering full handbag, jewelry and home collections. Giando Massi is inspired by the influences and beauty of photography. You get to enjoy the style as it is seen through the lens. Enter to win your very own MASSI Cavallo Bracelet in winner’s choice. Giveaway is open to US and Canada. Enter the MASSI Giveaway now! MASSI is a lifestyle brand offering full handbag, jewelry and home collections. It is really beautiful and stylish! Love the unique styling of this bracelet. I have a couple of friends this would work perfectly for! I love this bracelet! I have so many friends that this would be great for! What a beautiful and unique gift!! I learned this bracelet is nickle and lead free! I have so many problems with jewelry because I am allergic to nickel, but I read that this bracelet is nickel free! I am so excited about this. The bracelet that you are wearing is so pretty! I like that it is easy to put on and that the clips are not hard to snap on! They also have necklace and earrings. The bracelets are nickel and lead free! Pretty neat! This is the first I’ve heard of this brand. I love the bracelet and how it goes on. I am definitely going to check them out. I see they made home goods ,jewelry and purses. Just learned that Massi does home collections too! Wonderful. This looks like a really high quality bracelet! I have never heard of these bracelets before, but I like it. Theyre cool. I also like the handbags they have. I didnt realize it was an equestrian bracelet, and that makes me like it even more!! I learned that Giando Massi is inspired by the influences and beauty of photography. I love layering bracelets right now. I had no idea these were made of rhodium- how cool! I love the style. Perfectly chic! I love that it’s nickel and lead free. Knowing this, allows me to know that my skin will not react to the jewellery. I’m also in love with Italian leather bands, knowing that the bracelet uses genuine Italian leather is amazing! this looks like a bracelet that i could actually put on all by myself. SCORE!! I love this bracelet because it is so different than most jewelry out there. I see they make these great large furry throws. I’d love one of those. Thanks for the review! it’s nickel and lead free! My daughter would love this! She is a horse fanatic! I love the design, what a great look! And it is nice to hear that they are nickel free!! I like that this bracelet is nickel and lead free. I can’t wear a lot of jewelry for this reason. This is a really cute,I love it. I learned about the brand Massi, in general – I hadn’t heard of the brand before this, but now I’m very interested in checking out their high quality products! I didn’t know it was equestrian inspired- I just loved the look right away! I thought the look was originally more biker chic but I love the desogners interpretation of the equesteian influence. My husband would love this bracelet. It has more of an edgy feel than equestrian! This is the first time I’m learning about this brand, I learned their line is inspired by photography as well! I love the equestrian influences! I learned that this bracelet is made with real Italian leather. I love that it is nickel and lead free. It definitely looks like it has some heft to it! I too, like that it appears to be equestrian inspired! They certainly make a quality bracelet! I love that tthey are nickel and lead free! It is made of genuine Italian Leather and Rhodium plated. Massi also has beautiful throws! I like that it is nickel and lead free! I am glad it is easy to put on although I can’t quite see how it goes together. Some closures require 2 hands, which is difficult to do by myself. I also like that its nickel and lead free. Its a very stylish and hip bracelet that would be a perfect accessory to many outfits. Love it! I absolutely love these bracelets!